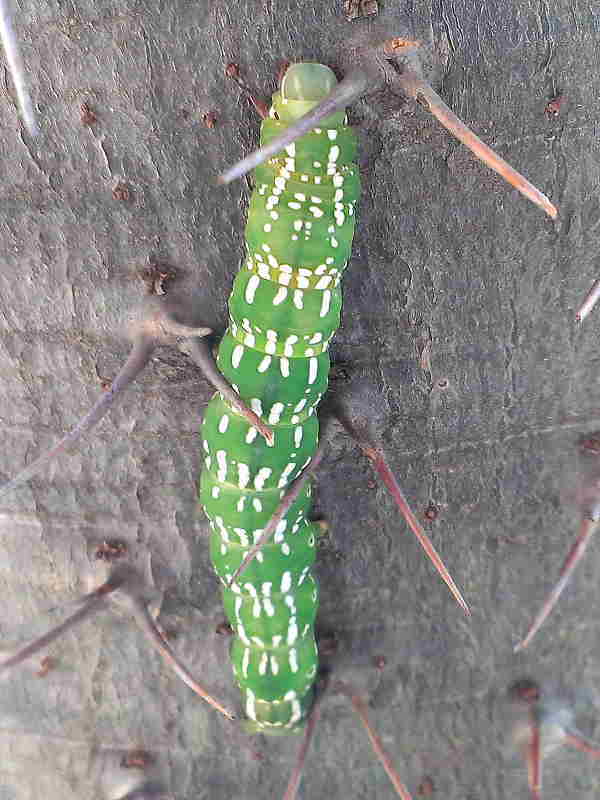 This image of a large green and white caterpillar was sent in by wildlife guide Matthew Sussens whilst stationed at the Royal Malewane Lodge on the Thornybush Reserve, Limpopo Province, South Africa. South African moth expert Hermann Staude not only instantly identified it as the caterpillar of the Sundowner moth, Sphingomorpha chlorea (once classified as a species of Catocalinae and now reclassified as a member of the Erebidae) but also attached the superb image shown below of the adult moth. 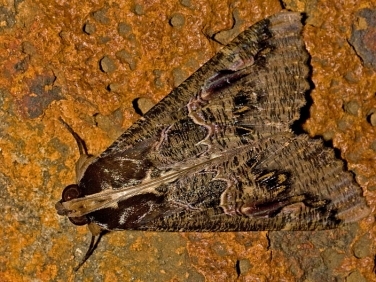 Hermann added that the moths name comes from its attraction to sundowners – alcoholic drinks drunk at sunset. Which means I’ll be drinking a lot more on my next trip to South Africa – all in the name of scientific research of course! 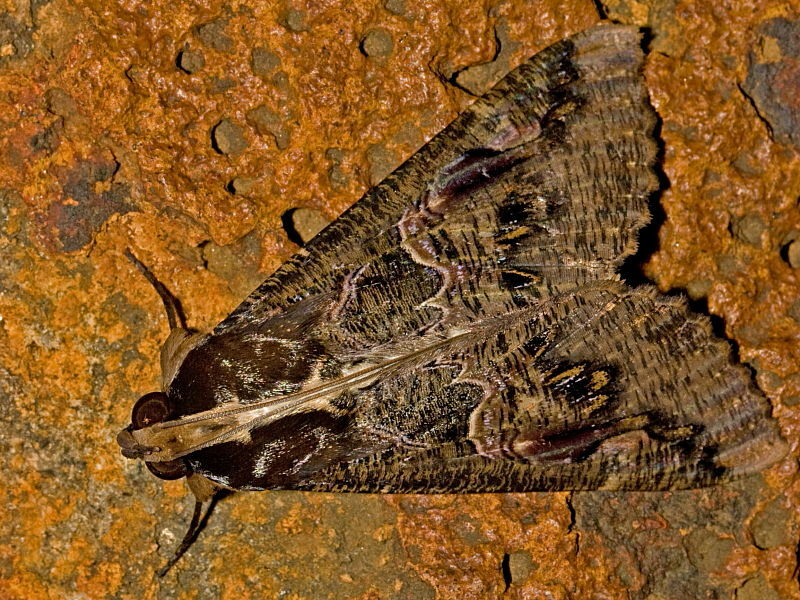 However, the Sundowner moth does have a down side (besides drinking your beer) in that it is considered an agricultural pest of fruit crops throughout parts of Africa and South East Asia. It is suggested that less than 10 percent of South Africa’s Lepidoptera have been described and little is known about the larval stages of many species. So thanks go to all those who are sending in images such as Matthew. By sharing these records with national recorders we will all be doing a little bit in raising awareness of these extraordinary insects.